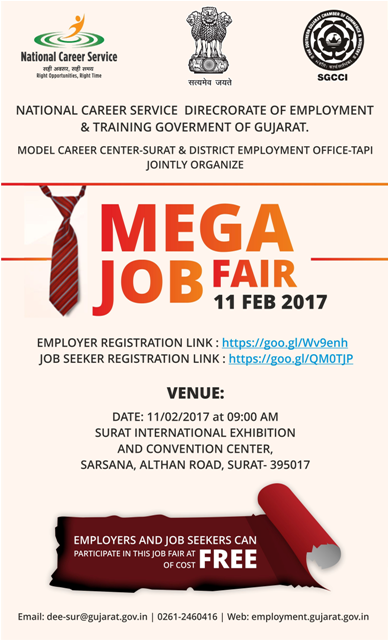 Rozgaar Bharti Mela in Model Career Center (Surat) and District Employment Office Tapi on 11/02/2017. More information please read below mention details carefully. Qualification : Please read Official Notification Carefully.